Today’s finished quilt. It may not show in the picture but this has a lovely shade of rose color on the border. I did some freehand flowers on the darker diagonals. I did line dancing on the lighter diagonals. With a scallop design on the inside border. 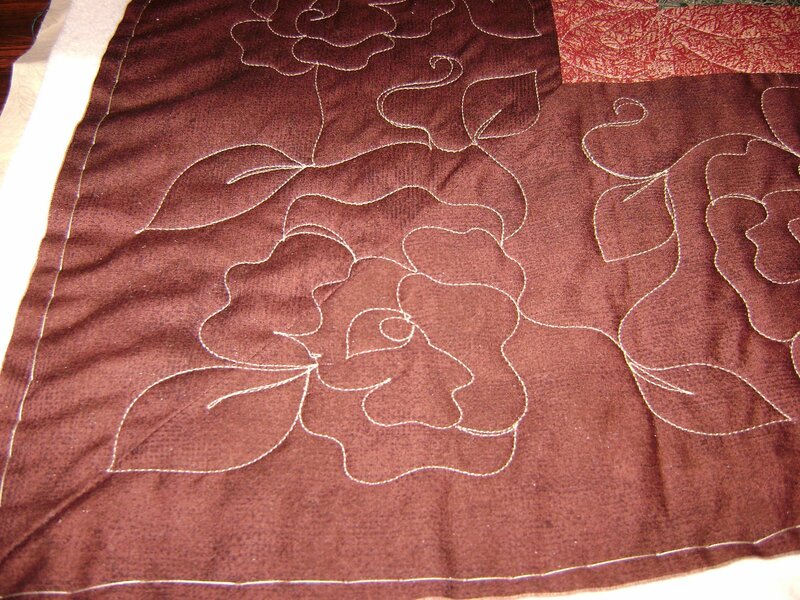 And a freehand rose vine on the border. 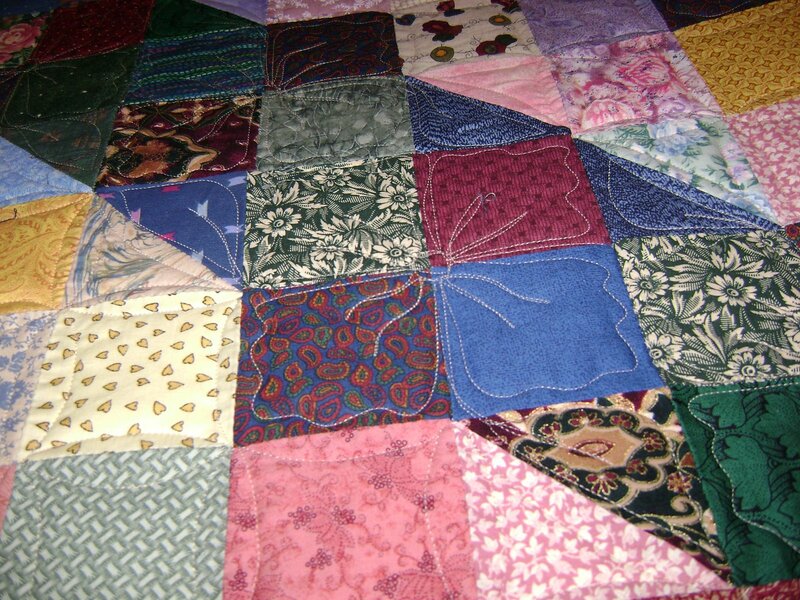 I have several people coming by to either pick up a finished quilt or drop off a top to be quilted. It’s going to be a busy day. 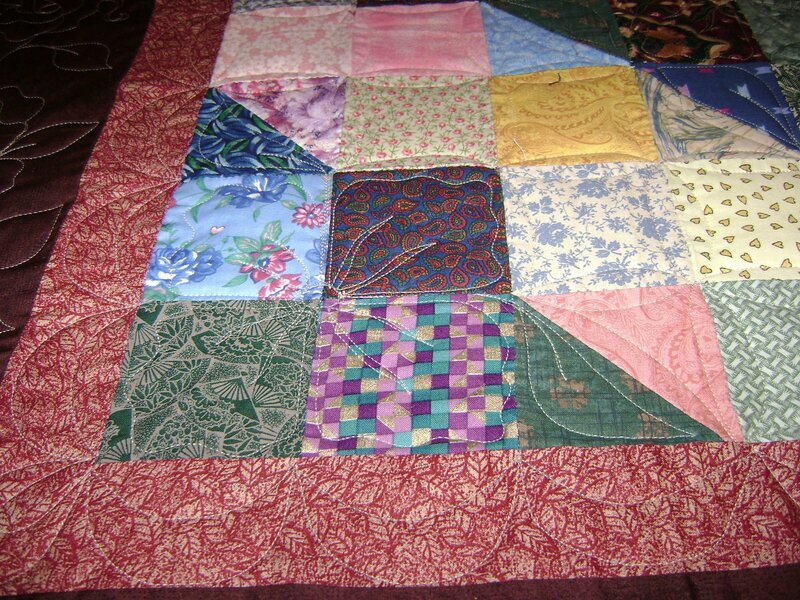 I’ll probably finish getting the border off that quilt between visits. I’m really anxious to get it done and out of here. I want to concentrate on other things which I can’t do until it is finished. 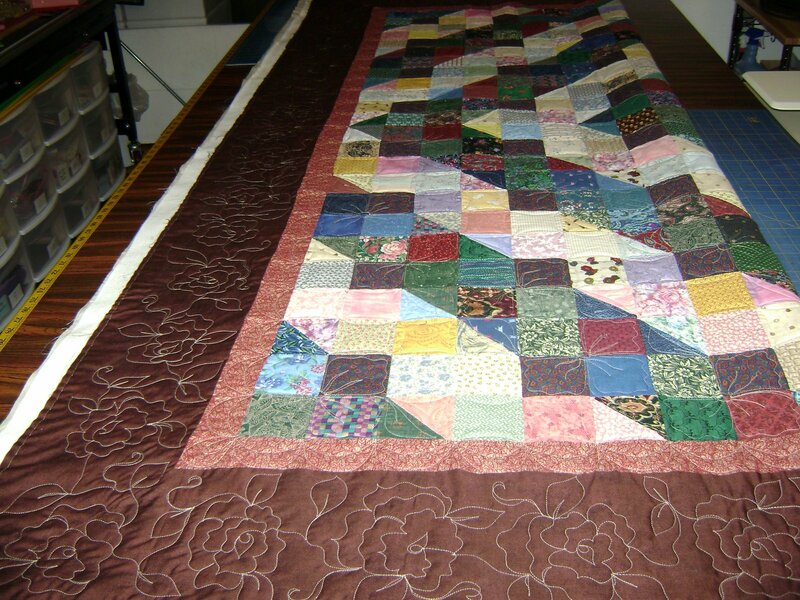 This entry was posted on January 24, 2008 by Anita in Customer quilts 2008, QUILTS - CUSTOMER.